Mr Kasis completed his basic surgical training in Guy’s/St Thomas’ and St Mary’s Hospitals in London in 2001, and then obtained a research MD degree in orthopaedics at the University of Sheffield. Mr Kasis completed his higher orthopaedic training in Newcastle-Upon-Tyne and went on to complete a spinal fellowship in the Gold Coast Spine Unit in Australia with Dr Matthew Scott-Young. Mr Kasis treats NHS, BUPA insured and self-funded private patients. Being competent in all approaches to the spine (operating from both the front and back) to treat a wide variety of spinal conditions, as well as current concepts of treatment of the spine, Mr Kasis strives to match the patient’s condition with the most appropriate technology available through approaches that are less invasive. Mr Ata Kasis has a special interest in treating degenerative spine problems, in particular low back pain due to degenerative disc disease (DDD) and low back pain after previous surgery such as discectomy. Mr Kasis is fellowship trained in anterior approach to the lumbar spine to perform fusion (ALIF) or disc replacement. Mr Kasis has a special interest in treating low back and leg pain using spine injections including nerve root block, facet joint injections, epidural injections and sacro-iliac joint injections. Mr Kasis has presented in International spine meetings on the outcome of anterior lumbar fusion and total disc replacement. 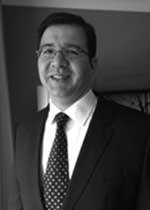 Mr Kasis is a reviewer for The International Journal of Spine surgery. And also and organiser and reviewer for the International Society of the Advanced Spine Surgery meetings. Mr Ata Kasis does not hold a share or financial interest in this hospital, another Nuffield Health hospital or the company. Mr Ata Kasis does not have a share or financial interest in equipment used at this hospital or another Nuffield Health hospital. Mr Ata Kasis does not hold any paid advisory role(s) at this hospital or on behalf of Nuffield Health.